The Air Force requires that all installations (including JBER) maintain a Utility Allowance Program to promote conservation and environmental consciousness among residents. This program has successfully reduced consumption on JBER and fully aligns with Aurora Military Housing’s dedication to environmental sustainability. Our implementation of this program establishes a dynamic allowance for gas and electric, that fluctuates monthly to account for temperature and seasonal changes. How do I make sense of utility statements? Statements will be mailed out monthly and will reflect the previous months’ usage. It’s good to review these when they arrive; the base allowance and your usage will vary from month to month (and season to season). 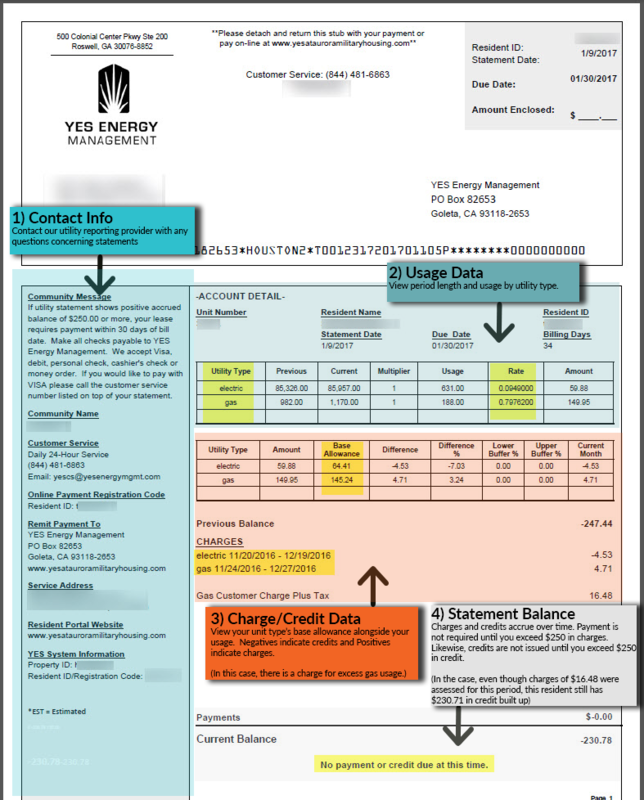 Am I included in the Utility Allowance Program? Search below to find out if your home is included in the gas, electric, or both Utility Allowance Programs.